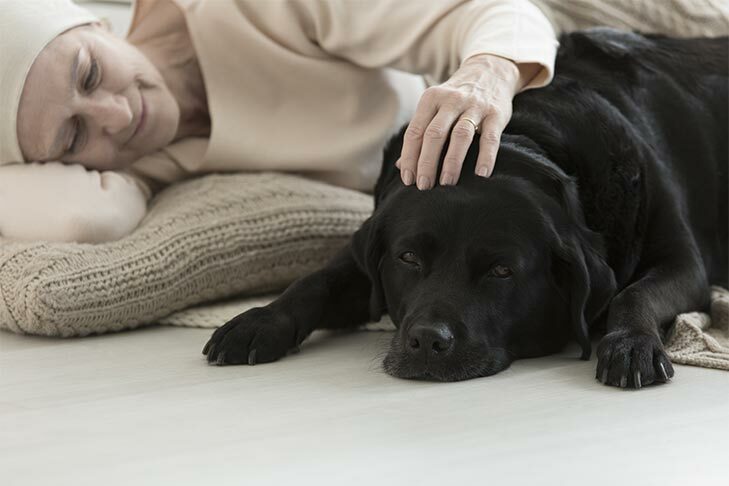 For better or worse, in sickness and in health, it’s a pet owner’s responsibility to provide the love and care needed throughout her dog’s lifetime. Nobody wants to imagine her canine companion falling ill, but it’s a good idea to prepare for the unexpected. 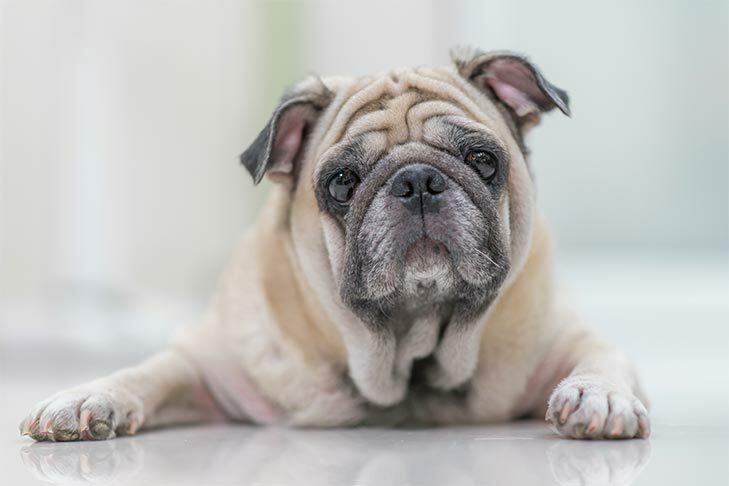 “Owners do not want to plan for a sick dog, but it’s important to do so right from the beginning,” says Dr. Carly Fox, a staff doctor with the Animal Medical Center in New York City. An important first step is scheduling annual checkups with a veterinarian who makes you and your dog feel comfortable. Suzy Fincham-Gray, a veterinarian and internal medicine specialist, recommends finding a vet who feels like a partner. “They will be able to help problem solve and guide you when you’re faced with certain situations,” she says. If your dog does get sick, pet insurance is one way to help alleviate some of the high medical costs that can come with illness. Since coverage is usually denied for a pre-existing condition, it’s important to enroll your dog while he’s still healthy. If you choose not to get pet insurance, consider setting aside some money for emergency care. “It can be costly to care for a sick pet, and it’s not something people anticipate,” says Fincham-Gray. Because some dogs are better at masking pain than others, keeping a close eye on any changes in behavior is crucial. “We can’t really know what our dogs are thinking, and it can be frustrating. That’s why we must interpret their behavior as a proxy of how they’re feeling,” explains Fincham-Gray. That’s what Addison and Emily Edmonds, owners of Gunner Kennels in Nashville, Tenn., were doing when they observed that something wasn’t right with their seven-year-old dog Goose. They found signs of swelling in her neck and paws, and her movement had slowed down — so they made an appointment with their veterinarian. After Goose was diagnosed with canine lymphoma, the couple learned that if left untreated, Goose had only weeks to live. “If we hadn’t noticed her symptoms so quickly, she might not be with us today,” says Addison. If your dog is suffering from a debilitating illness, he may not be able to function in the way he normally does, so making modifications to your home can be a huge help. Incorporating pet stairs, building an outdoor ramp, installing carpet, or leaving food and water in more rooms so that it’s readily available can be extremely useful for a dog that has trouble getting around. “Knowing your dog well enough to make him comfortable is key,” says Dr. Fox. Sally Morgan, a holistic physical therapist for animals and humans, provided care for her two Pembroke Welsh Corgis after they were diagnosed with degenerative myelopathy, a disease similar to myotrophic lateral sclerosis (ALS) — also called Lou Gehrig’s disease. Morgan was hands-on when it came to everything, from their diet to monitoring exercise for muscle strength. “It takes an emotional toll on you to see them growing weaker and lose more and more function,” says Morgan. With chronic illness, the focus is on providing the best possible quality of life for the patient, but sometimes a caregiver’s health suffers in the process. Taking a break can seem next to impossible when you become wrapped up in the role of caretaker. “Some owners are afraid something will happen if they’re not around,” says Fincham-Gray. Morgan suggests you focus on the things that you can control, like managing your dog’s medications, doing research to aide in his care, and knowing when to ask for help. “You provide all of this care out of love, and your bond with the dog becomes deeper as a result,” she says. While it might feel like you’re alone, you’re not. Many other pet owners have been where you are or are currently going through a similar experience. Dr. Fox recommends joining a support group and connecting with people you can talk to openly and swap information with. A support system is especially important when difficult decisions need to be made. “With chronic illness, there often comes a time when therapy and medicine are no longer effective at providing a good life, and it is okay to consider euthanasia,” says Dr. Lucas White of Sunset Veterinary Clinic in Edmond, Okla. Consult your veterinarian if you’re unsure about what steps to take next. If you decide that it is time to end your dog’s life, your vet can arrange to do it humanely. Knowing when to let go is heartbreaking, but it’s a decision no pet owner should feel guilty about when she is putting her dog’s needs first.